So where to now? I’m somewhat glad I was wrong about last week with my prediction of a pullback especially when the prediction means losing money. A week is a very small amount of time in the stock market so I wouldn’t be writing it off just yet. Predicting where the stock market will be in a weeks’ time is more for gamblers than investors. 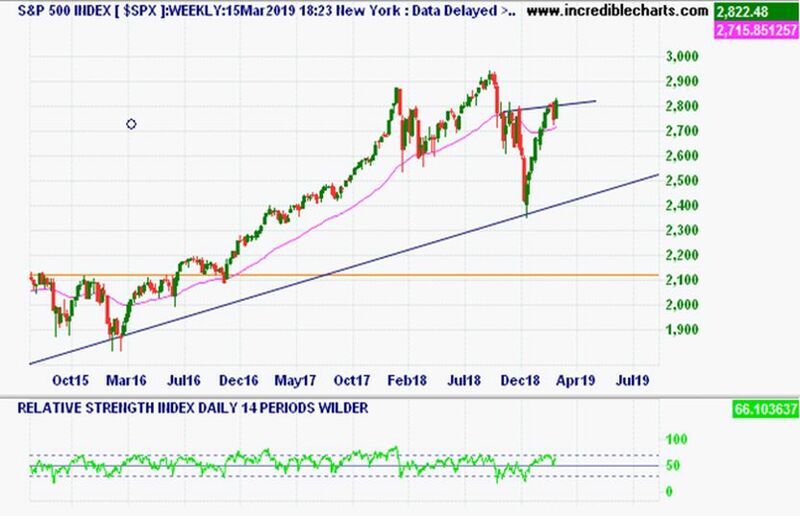 The question we need to ask is the recent pullback over the past week or so including the previous Fridays range a pullback in a newly formed up trend or is it the beginning of a larger move down in the medium term down trend. To get a better idea we need to look at the charts over different time frames. 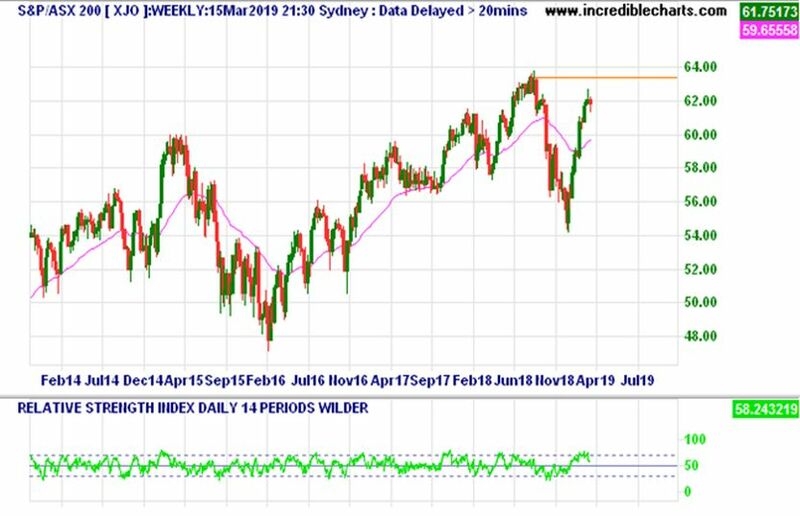 If you look at the daily chart, then you could argue that we are in an uptrend with higher highs and higher lows and the recent pullback since 8th March is a counter trend in an uptrend. When we look at our weekly chart it is a little less clear with the recent low around 5400 confirming a down trend however a new peak, at least a clear one has not yet formed. And then you look at the Monthly chart and this one adds even more confusion as you could argue we are in a long-term uptrend with the recent movements merely some volatility before moving back into the long-term uptrend. From a purely technical perspective we are looking good with recent bullish sentiment and the long-term monthly chart also looking good. This is the conundrum with predicting — do you go with the charts as they represent what investors are thinking of the future right now or do you go with your gut. 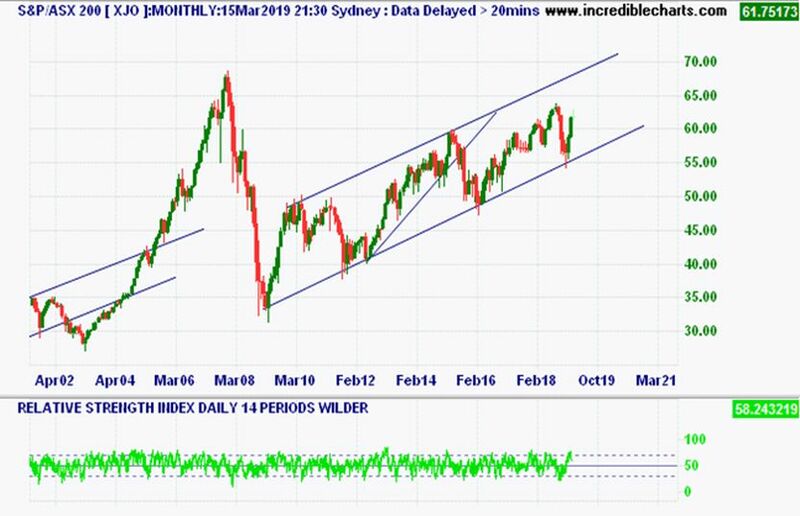 My gut suggests we are in for trouble especially over the medium to long term, considering the FRED yield charts at the bottom are inching lower toward the negative and once they go into negative territory it is only a matter of time before a US recession is called. One could argue locally we are already in one or at least very close to one. 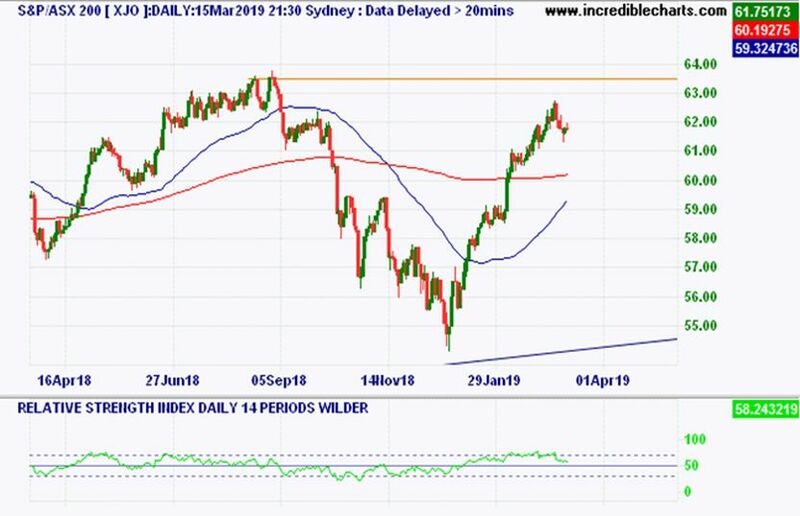 Just to add more confusion to the mix the S&P 500 has just poked its head above the shoulder line of an inverse head and shoulders pattern which is a bullish sign. Perhaps we have 6 months left to run in this bull market yet. Enjoy your week!